Hello today I’m doing a Rotary GS00308/21 Review. 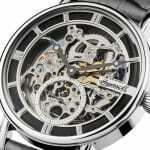 It’s going to be interesting to take a look at this watch and find out why it’s one of Rotary’s best selling skeleton style watches. 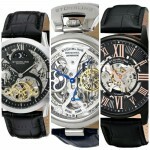 I for one am a huge fan of skeleton watches, a while back I did a top 8 skeleton watches post that I suggest you check out after reading this. Anyway I’ll get on with my GS00308/21 review below, you can buy it on Amazon here, enjoy. 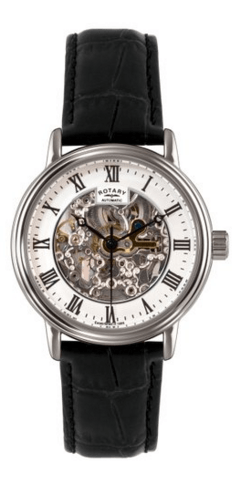 Now Rotary know a thing or two about making watches and they’ve done another stunning job here. I love the exhibition skeleton style on the front of the watch coupled with the exhibition case back, I’ve included a picture near the bottom review, they look awesome trust me. The watch features all the good parts you’d expect in a watch at this price, offering great value for money. So more than anything it comes down to design and I personally really like it. 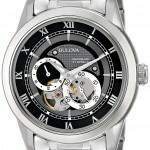 This watch also utilises a automatic self-winding watch meaning once you’ve given it it’s initial wind up it will charge itself from the movement of your wrist throughout the day. These also require no battery so that’s a neat little saving too. As I would really expect this watch comes with a mineral glass. This is a specially hardened crystal made to resist most scratches. It’s not as hard as sapphire crystal of course but I wouldn’t expect that level of protection on a watch of this price. When it comes to watch glass you get 3 common types, acrylic, mineral and sapphire, mineral is your middle ground and most common in affordable watches. The diameter of the watch is actually a little small for me personally. I tend to aim for a 42mm which is most common these days for men’s watches however this one’s casing diameter comes in at 38mm. This is classed as a medium though which is fair, it’s just watches have been becoming larger and larger in style. If you don’t mind your watch being slightly smaller than these then that’s great. The thickness of the watch is 12mm which is classed as large so expect this watch to be small but chunky. This watch doesn’t feature any form of calender which is totally understandable. With the skeleton design they’ve gone for with the simplistic aspects it just wouldn’t have worked. 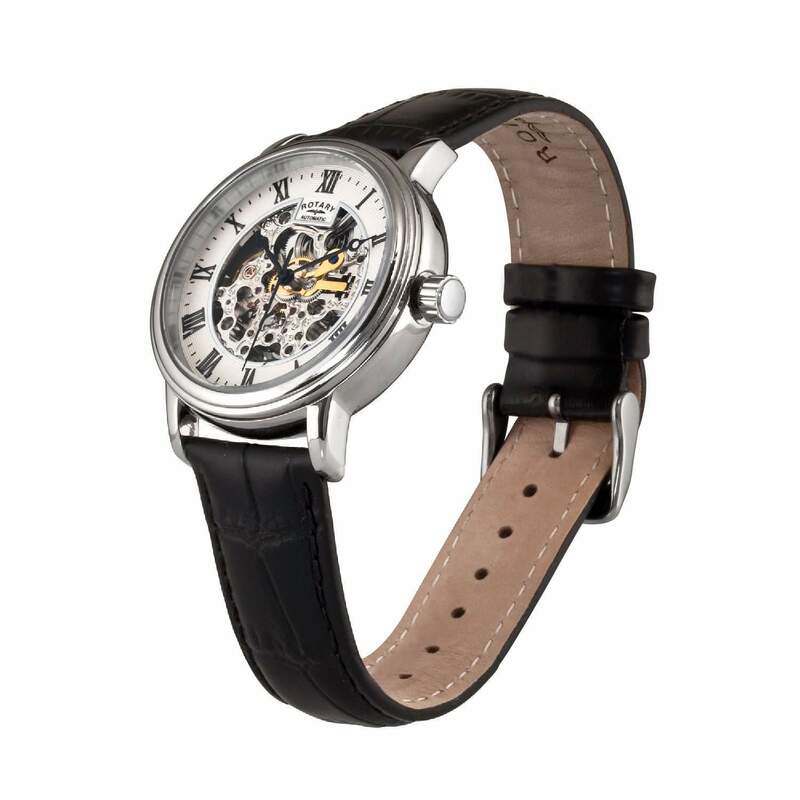 The strap is made of a genuine leather embossed with the Rotary logo. 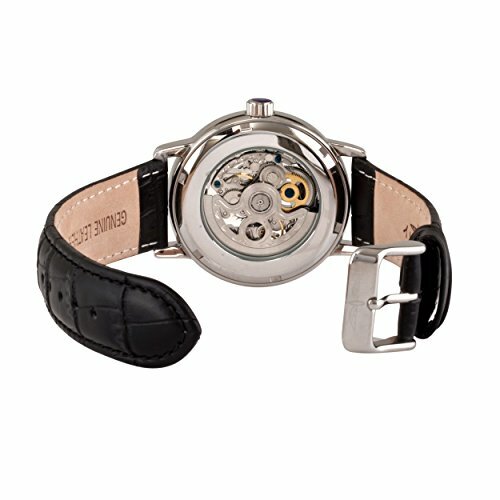 It’s 19mm in width which is every so slightly smaller than average but this ties in with the small casing of the watch. The clasp type is a standard buckle as can be seen in the pictures below. Automatic watches are honestly some of my favourites and I love it when they show off the movement with the skeleton designs. This watch has some of my favourite features so I was bound to really like it and I do. Even at the RRP I think it would offer value for money and you can occasionally find it cheaper on Amazon which is great. To sum up Rotary have done a great job here and you can really see why it’s been such a hit with everyone. Hope you found this Rotary GS00308/21 review useful and enjoyable. Find out the price and more on Amazon.